The doors and entrance framing that you choose for your home's interior are more than just building materials. The design and functionality of your door treatment architecture and hardware accessory choices become part of the backdrop of your life. The doors and entrance treatments add color, texture and appeal to each room environment in your home. For that reason as part of your interior design decisions and room appeal, it is important to have interior doors that outlast changing styles and stand up to years of use. Our showroom has a large number of door styles, visual treatments and doorway room entrance samples on convenient display for your to view in our showroom. View our walk through showroom video, (by clicking here), and please consider coming into our showroom for a visit with our of our experienced professionals for more ideas, advice, and expertise. 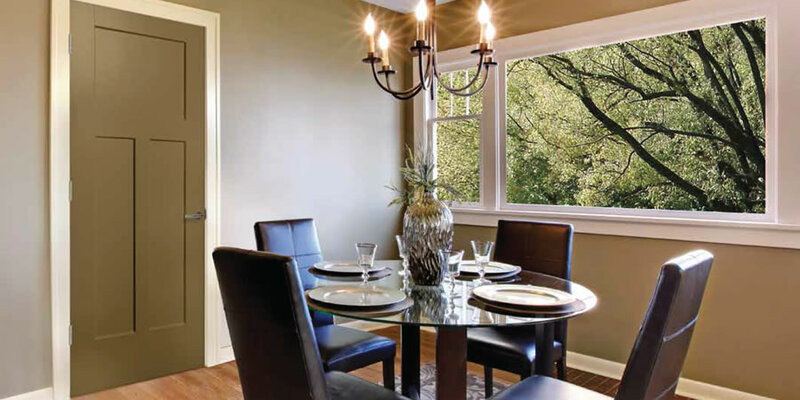 Maritime Door & Window is proud to offer Masonite doors for superior style, and durability. Regardless of the room entrance application, whether you're looking for a standard model for versatility or a larger custom model for grandeur, MD&W has something for everyone. We carry a wide variety of molded passage treatments and bi-fold designs that are duality assured and guaranteed to please. Please consider contacting one of our window and door experts on staff to assist you in your selection, or plan a drop-in visit to our showroom. Here is a quick video tour preview for you to view of our showroom. Be sure to look at our equally large selection of hardware accessories and closure system designs, which are available for you to get exactly the right look and feel for your interior design efforts. Room entrances and the hardware accessories combine to allow you to be more creative about opening up your rooms, and expanding your possibilities.